Any long-time residents of the New Hampshire knows how brutal the winters can be: from -10 degree days to several accumulating inches of snow overnight. 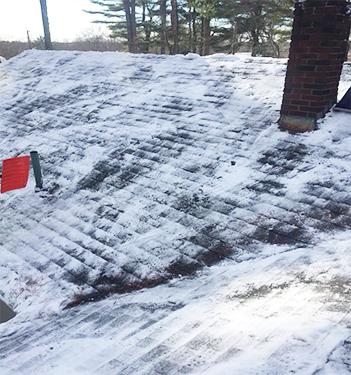 We understand the challenges snow and ice present, that’s why S and S Landscaping offers best-in-class snow and ice removal services for residential, commercial, and corporate offices in the southern, NH area. S & S Landscaping maintains a fleet of commercially equipped snow plow trucks and front end loaders. From shoveling to front end loaders, S and S has the capabilities to clear any sized walkway, garage, or commercial lot. Snow offers its challenges but one of the true culprits of accidents during winter is the near invisible slick and slippery ice. S & S has a range of salt truck vehicles that can remove ice on your sidewalks, walkways, garage entrances or parking lots. It is our goal to help provide a safe environment and salting ice is one key to safety in the winter. Outside of plowing and salting S & S Landscaping also handles exterior shoveling, de-icing, and snow removal for your walkways, steps, entrances, exits, and any other pedestrian area. Please don’t hesitate to contact S & S Landscaping to learn more about our Snow Plowing services. Call 603-434-1212 or complete our online form.